This January, TargetX was announced as one of the first Salesforce HEDA Core Compatible Partners for 2018, and we’re excited to share this news with our clients, friends, and the higher education community. At TargetX, we’ve been proudly building higher ed focused solutions on Salesforce for nearly a decade – embracing the power of the Salesforce platform while adapting and innovating for the evolving needs of higher education. TargetX is known for our student-focused and mobile-first technology, allowing tomorrow’s college students to progress through the entire enrollment funnel from the palm of their hands. We’re eliminating silos on campus and allowing departments to collaborate better, while simultaneously centralizing processes in order to make it easier for people to do their jobs. At the core of all of this, however, is a topic most people stay far, far away from… data architecture. To most people data architecture isn’t fun, but, for CRM admins and techies like me, it’s the addicting puzzle that never ends. Data architecture is the underpinning to every CRM solution, and despite how good your functionality and tools are, your data – and how it’s organized – makes all of the difference. HEDA is the Higher Education Data Architecture – a community-driven data architecture and set of best practices designed to configure Salesforce out of the box for colleges and universities. It’s been developed in collaboration with Salesforce partners (such as TargetX), and colleges/universities from around the country. Think of a CRM like a giant filing cabinet; when you first get one, it’s essentially a huge box to store things, but it’s up to you in how you organize it. HEDA provides an initial framework for organizing and managing your data – specifically around people, relationships, and courses. It allows for complex connections between people and organizations. Being recognized as HEDA Core Compatible by Salesforce emphasizes this. How does TargetX work with HEDA? At TargetX, we’re focused on ensuring that our clients, both new and existing, can combine the full benefits of TargetX products with the advantages of HEDA (which is why we’re now HEDA Core Compatible). Our products have the flexibility to allow institutions to utilize the TargetX data model alone or combine it with HEDA. To ensure that institutions can take advantage of HEDA with minimal effort, over a year ago, we introduced the TargetX HEDA Toolkit, a software package that mirrors like-data between the TargetX and HEDA data models. This allows institutions to take advantage of HEDA without having to do a full data migration or extensively update existing workflows and data import processes. Recommendation: We encourage all new TargetX clients to take advantage of our HEDA Core Compatible status by using this data architecture, and it can be easily installed during your implementation. We now install HEDA as a default. Recommendation: Most schools currently implementing TargetX should already have HEDA installed. For those who don’t have it installed, you should consult with your project manager to determine what, if any, impact this could have on your project timeline and the best way to proceed. 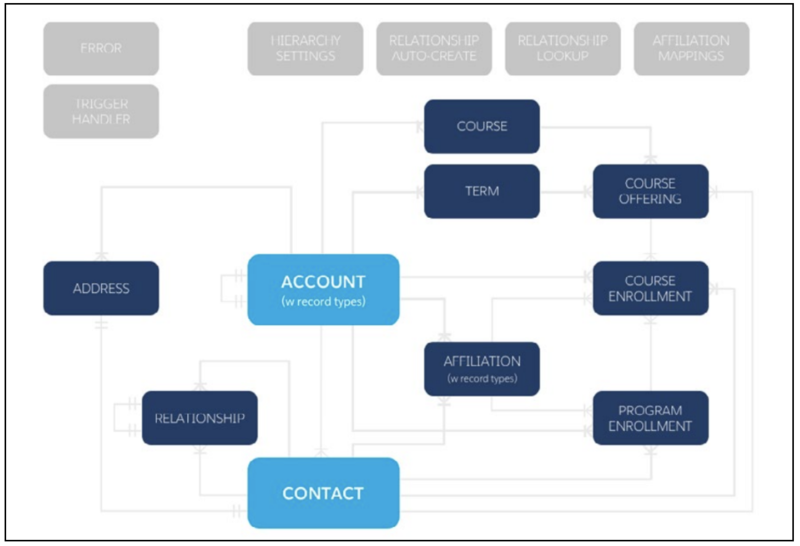 Recommendation: Since TargetX’s data architecture has many of the same data fundamentals as HEDA, there may not be a need for HEDA based on how your school uses CRM. Installing HEDA after being live for a while can be a project of notable size and may not be appropriate for all schools. We recommend a conversation with our team to determine what’s right for your school. Where can I learn more about HEDA? There are tons of resources on HEDA from both Salesforce.org and TargetX. Below are a few to get you started. Feel free to reach out if you want to learn more about HEDA, what it means to be HEDA Core Compatible, and how you can best utilize it with TargetX! When the Salesforce.org team pushes a new Production or Sandbox release, it will be posted to this “Broadcast Only” group. If you’d like to be notified of every new release as soon as it’s announced, set your email notification preferences for this group to receive every post.